eCommerce has exploded over the last few years, with online sales in the US exceeding $95 billion during the 2015 holiday season alone. These record-shattering revenues have raised the stakes in the industry, as more and more retailers and brands look to capitalize to the shift in consumers buying online. With this increased competition in the marketplace, combined with the growing use of mobile and the new post-Penguin and Panda landscape, the SEO stakes have never been higher. While a top ranking on Google can translate into millions of dollars, a penalty or rankings drop can be devastating. An enterprise-level eCommerce store is a massive, always-changing machine, which makes it inherently difficult to optimize. 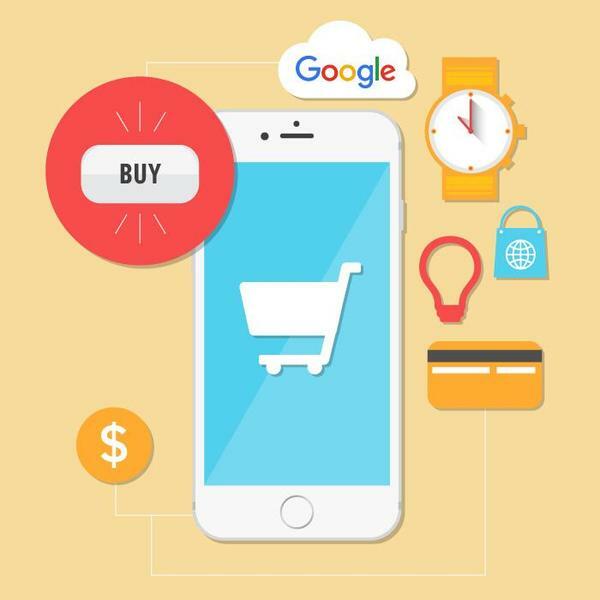 With thousands of product pages, a revolving door of inventory, and complex technical configurations, SEO for eCommerce can be especially tricky and is something you should expect to revisit as the web continues to evolve. One of the biggest challenges for eCommerce sites of all sizes is duplicate content. Since Google has a vested interest in pointing users to the best content for their particular query, they reward content that is unique and hasn’t simply been scraped from another source. By the same token, they won’t reward content that is duplicated from another webpage, whether on the same site or somewhere else on the web. Google’s infamous Panda update specifically targeted this type of thin, duplicate or scraped content. eCommerce sites have numerous landmines to consider when it comes to duplicate content. One of the most common is in the use of product descriptions. Often these product descriptions are the same ones used by many or all online retailers and are thus considered duplicate content. Although it can be labor intensive, the best strategy for avoiding duplicate content issues on product pages is to write completely unique product descriptions. On a large site with thousands of pages, this can seem nearly impossible. We encourage our clients to start with the top twenty products, since these will have the most direct impact. Rewriting these product descriptions to differentiate them from other retailers can have a significant payoff in product page rankings. Your goal should be to have unique information that lives in only one place. Pages that do not vary when given different parameters (e.g. the utm_source example above) should employ a rel=”canonical” tag. The rel="canonical" link element tells search engines which URL you consider to be the preferred version so that they are more likely to show that one in the search results. For paginated pages you want to look to clearly identifying the previous/next pages in the series with rel=”next” and rel=”prev” tags. Avoid custom page sizes, and use a canonical tag to avoid duplication in the event of sorting parameters (e.g. by price). Or, if your platform can handle it and it doesn’t create site speed or UX challenges, you can use a canonical tag to lead to a view-all page. Sometimes, though, your platform just won’t cooperate. In this case it might actually be worth using a robots.txt file to exclude pagination, however you should always strive to accurately communicate your page structure. The most effective (and most feasible) solution depends on the CMS, but often the best option is to specify one of the paths as the canonical URL. We usually suggest the path that is most categorical (e.g. special_widgets, not gifts). Alternatively you can redirect the user to the correct link, or update your CMS to always have that product link generate as its canonical URL. While a robust internal site search feature can be a huge asset for an eCommerce site, allowing users to search through thousands of pages to find a particular product, SKU, or category, this functionality can also create thousands of duplicate or thin pages if those queries are not blocked from Google’s index. Usually, the best way to block site search query URLs from indexation is to add a “noindex,follow” to these pages. Due to a site’s configuration and structure, duplicate URLs can often be created sitewide, as multiple variations of a page are created programmatically. For instance, http://www.example.com, http://example.com, http://www.example.com/ and http://www.example.com/index.html are all variations of the same page, and without redirects, will cause multiple duplicate content issues. Your web server configuration should drive all URLs to a common standard with a 301 redirect. For example, any requests to a page without the “www”, or any 404 that is being returned without a trailing slash should be automatically redirected. Case sensitivity can also cause problems, so make sure your CMS only allows one version of a URL. With the focus now on digital for browsing, shopping, and purchasing, the competition is more difficult than ever. As a brand or retailer you now have to compete head-to-head with Amazon, Target, and the other major online retailers, as well as the other brands in your industry. Securing the coveted top three organic results is now more competitive than ever before. You can stand out from your competition by creating useful shopping guides that help online customers select the type of product they are looking to buy. Shopping guide pages, when done effectively, tend to have unique content and yield high engagement - both of which are things that Google loves. SEO for eCommerce can seem daunting due to the sheer amount of content and the massive number of pages that comprise most online stores. However, the investment is well worth it - improvements in a site’s search engine ranking can mean significant revenue growth and brand awareness. By investing in a comprehensive SEO strategy, your business can carve out a bigger slice of the eCommerce pie. Published on February 1, 2016 .